A Harry Kane penalty and an injury time Hugo Lloris penalty save helped Tottenham salvage a a 1-1 draw with Arsenal in the north London derby at Wembley Stadium. The result means that the gap between Tottenham in third place and Manchester City in second place remains at seven points, but also means that they keep the gap between themselves and rivals Arsenal in fourth place at four points. 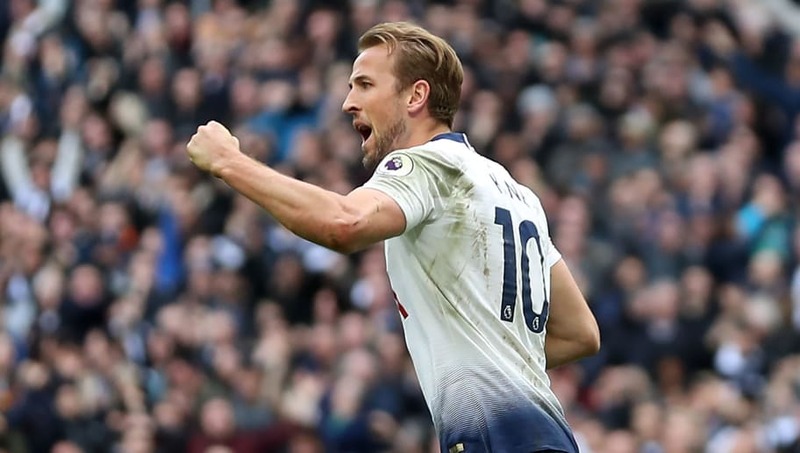 It was a very tense affair between the two teams and the game sprung into life late on with ​Kane converting a penalty before Pierre-Emerick Aubameyang had a penalty of his own saved by Lloris in stoppage time, with Kane scoring once again against his club's fiercest rivals. He seems to thrive when playing against ​Arsenal, as this stat from ​Opta shows. Kane has scored nine of ​Tottenham’s last 12 ​Premier League goals against Arsenal; only Wayne Rooney (12) and Robbie Fowler (10) have scored more Premier League goals against the Gunners. The result will leave Arsenal fans thinking what could've been having lead for almost an hour after looking very comfortable for the majority of the clash. Unfortunately they couldn't keep Tottenham out and their struggles away from home continue, highlighted by this stat from Opta. Arsenal remain the only side in the Premier League yet to register an away clean sheet this season. Despite not picking up all three points there were plenty of positives for the Gunners to take away from the game as they continue their quest for a top four finish, whilst Tottenham's title hopes look all but over and they look to cling onto their spot in third place.